From this weekend (21st February 2016) we will be introducing green cards into the League Rules. 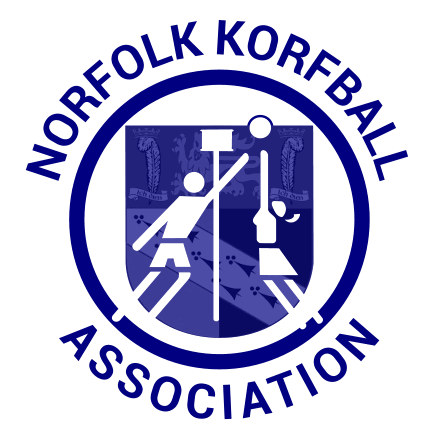 Misbehaviour and in particular verbal backchat appears to be on the increase within an ever more competitive Norfolk league structure. With clubs and the association generally working close with each other it is sometimes difficult for a referee, both new and experienced, to hand out a yellow or red card that is then directly reported to the EKA and a fine issued. A green card can take ‘pressure’ off a referee for being the reason for a ban/fine as an individual referee will not necessarily know the discipline history of each player. The card will be introduced on a trial basis initially and reviewed on its effectiveness at a later date. Cards will not be counted and no punishments will be issued during the trial period. If the trial period is successful a punishment for accumulated cards will be considered. "5.4 A referee may issue a green card to a player, coach, substitute or person formally attached to the team for any misbehaviour offence. A second green card offence within a game will result in a yellow card. The card(s) shall be reported to the NKA referee co-ordinator." A green card was conceived in an effort to help further protect referees in the NKA and to arm them with a tool that can be issued to a player, coach or anyone associated with a team with the card having no direct consequence to that player i.e. a fine or suspension. A referee must consider the conduct in each incident and decide upon which action or card to issue. The introduction of a green card does not mean that you must issue a green card before a yellow – if a referee deems the action to be beyond that of a green card then a yellow card should be issued immediately – an example here would include foul language directed at an opponent or a referee. the referee can consider any unsporting action as misbehaviour, e.g. inadmissible forms of appeal or demonstrative gestures against the referee. Two green cards in a single match will result in a yellow card. In this scenario a second green card will be shown, immediately followed by a yellow card. Typical action by a referee after noting some minor inappropriate action would be a warning for the first occasion, a green card for a second occasion and a second green card for the third occasion immediately followed by the issuing of a yellow card. The NKA will provide green cards for referees however you may issue any card verbally without physically having a card with you. To do this you must inform the captain and the player verbally of your decision to award a card. Finally, the green card is designed to protect referees and alter the behaviour of players on the pitch so that referees are able to referee to the best of their ability without fear of persecution. It is a tool that carries no direct fine or ban upon issue however please remember that the green card does not replace a yellow card. This entry was posted in League, News, Refereeing by Simon. Bookmark the permalink.